Jovetic moves to Inter on an initial 18-month loan for an undisclosed fee, with an obligation to buy the 25-year-old Montenegro international. City paid Fiorentina £22million to sign Jovetic in the summer of 2013 but he only managed to start 11 Premier League matches for Pellegrini's side in the last two seasons. 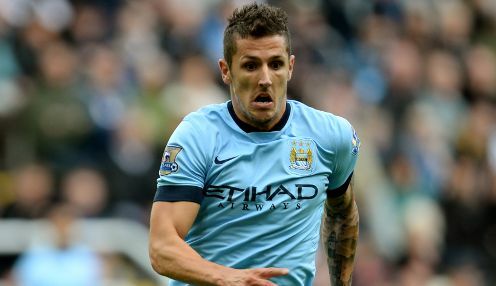 "It is unfortunate Stevan had to go because he played here for two years," said Pellegrini. "He is a very good player, one of the best technical players I have ever seen, but unfortunately for him he had too many injuries, and that is why he couldn't play a lot of games in a row. "But I wish him a big future, because I think he will be a big player for Inter if he can continue to play in every game." Meanwhile, City are 1/1 to beat West Brom in their opening game of the season on 10th August and Sergio Aguero is 1/1 to be the Premier League's top scorer in 2015/16.